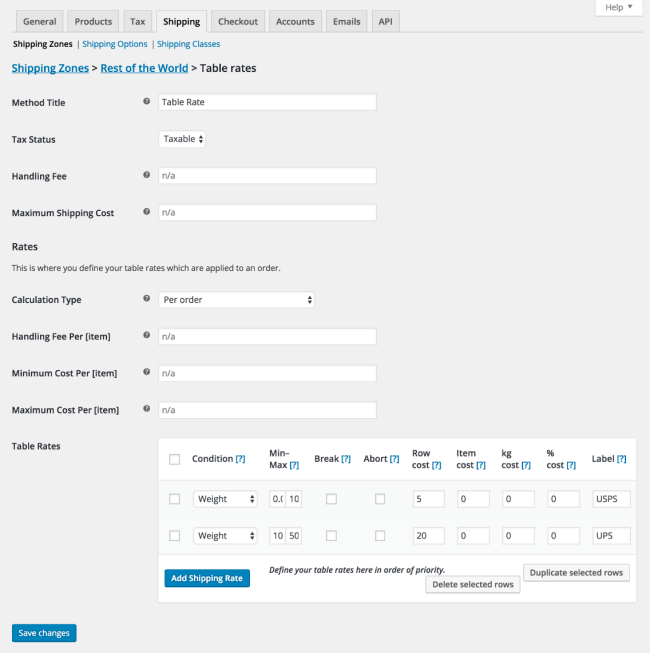 WooCommerce Table Rate Shipping Extension: Powerful customization of WooCommerce shipping options. Create multiple shipping rates. Base rates on price, location, weight of product or number of items. Sometimes WooCommerce’s default shipping options just aren’t enough. This user-friendly Extension extends default shipping to enable highly customizable shipping rate options.